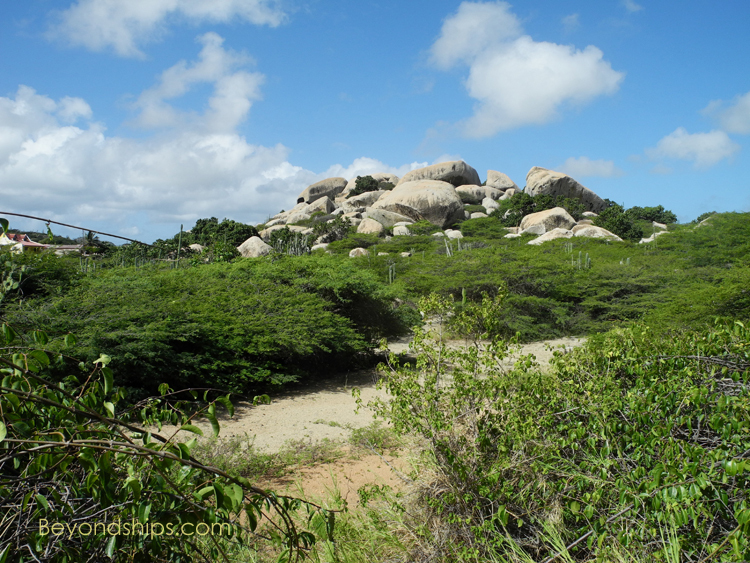 In sharp contrast to Aruba's resort beaches, most of Aruba's northern coast is a barren desert-like landscape that is pounded by fierce waves. attractions of this area was the ﻿Natural Bridge﻿. 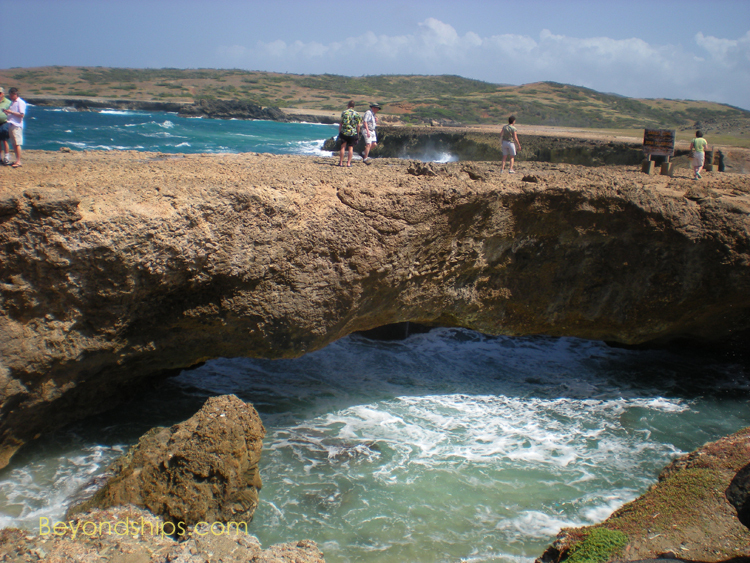 Carved out of the coral limestone by the wind and the waves, the bridge spanned 23 feet over the mouth of an inlet. In September 2005, the bridge collapsed under the force of the sea. The bridge site remains popular, however, as the power of the pounding sea is awesome in its own right. In addition, the area also contains a smaller, but still spectacular, bridge known as the ﻿Baby Bridge﻿ (below). 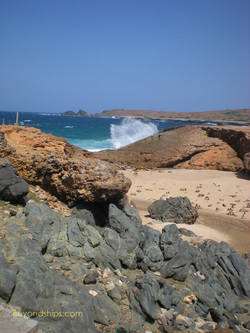 In the center of the island are two unusual rock formations. 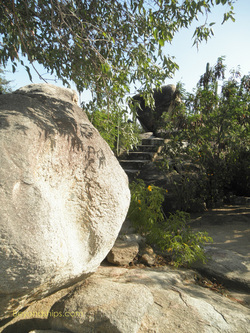 among the boulders are cactus and tropical vegetation including flowering plants. As a result, the area has the feel of an unearthly garden. 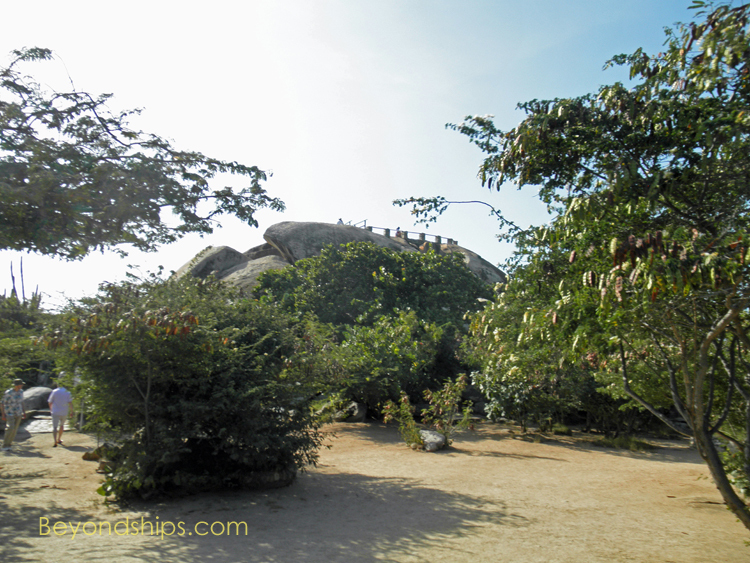 The Ayo Rock Formation is perhaps the more rugged of the two. The spherical indentations in the rocks reportedly are due to gas bubbles when the rock was formed. In addition to its natural splendors, Ayo has pre-historic pictographs. 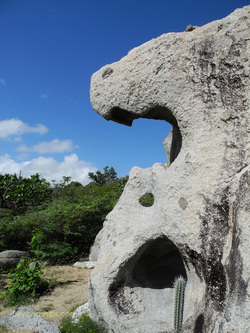 Nonetheless, the Casibari Rock Formation may be the more rewarding visit. From the top of the highest point in the formation, you get spectacular views of the surrounding area. 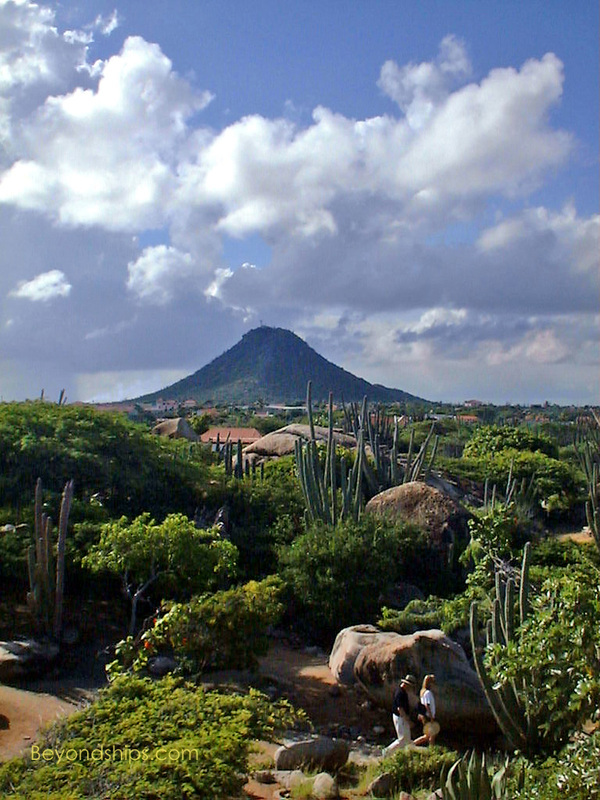 Moreover, there is somewhat more vegetation around the formations, giving the Casibari more of a desert garden look. Although stairs and pathways have been built, this can be a tricky climb as one has to pass through tunnels and narrow passages at points.